Two quick questions: 1) by unit do you mean pair of cufflinks? 2) do you ship to Canada? This item does come in a pair, so 1 unit equals 1 pair of cuff links. We do ship to Canada. 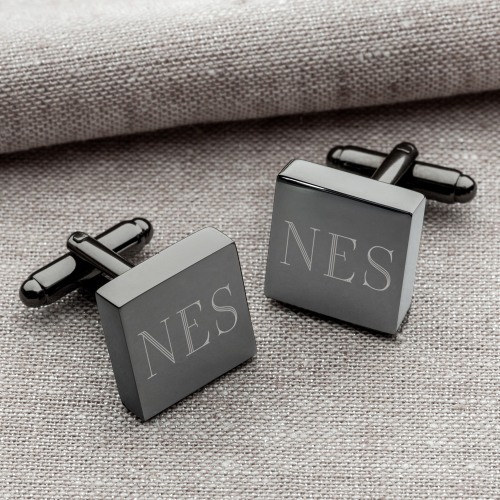 These gunmetal square cufflinks make a great gift for the groom, groomsmen, or any other special man in your life. Personalize with his three initials for an extra special touch. Perfect for sprucing up his formal wear.